Human Immunodeficiency Virus (HIV) infection is a major scourge ravaging affected individuals and communities, particularly in third World countries. The management of this condition requires a more comprehensive approach that will relieve factors known to enhance faster disease progression and poor outcome. The objective of this review is to elaborate the biochemical importance of antioxidants in the termination of oxygen free radicals in HIV infection. Some degree of oxidative stress occurs in most, if not all human diseases and is suspected to make a significant contribution to the pathogenesis of the disease . Human Immunodeficiency Virus generates high level of oxygen free radicals as a result of multisystem effect on the body of the patients. This increased release of OFRs may be part of the pathogenesis of HIV which if allowed will continue to affect the immunity of the patients. Small amounts of Oxygen Free Radicals (OFRs) are constantly generated in aerobic organisms. Low levels of OFRs are reported to be essential in a plethora of cellular processes, but accumulation of OFRs may damage biological macromolecules, leading to cytotoxicity, allergy, mutagenicity and/or carcinogenicity . Human Immunodeficiency Virus is the proximal agent of Acquired Immunodeficiency Syndrome (AIDS) . Chronic diarrhea, fever, wasting, fatigue, pulmonary tuberculosis, Kaposi sarcoma and multiple opportunistic infections are some of its associated disorders [4,5]. HIV infection is one of the potential causes of excessive generation of oxygen free radicals. The time from initial exposure to HIV to the onset of clinical AIDS is variable. For partly unknown reasons, the average time for progression from HIV infection to death in some patients is fast . Understanding the importance of different factors that may or may not aid HIV disease progression may prove to be critical in the development of appropriate therapeutic strategies for the management of HIV infection as the disease behaves without uniformity . Antioxidant protection against free radical attack may be accountable for an individual’s susceptibility to disease development as some studies have revealed low antioxidant levels in groups of patients [1,8]. Free radicals (Table 1) are partially reduced chemical species that have a single unpaired electron in an outer orbit. Table 1: Biologically relevant oxygen free radicals. Energy created by this unstable configuration is released through reactions with adjacent molecules, with the potential to damage lipids, proteins and nucleic acids . Autocatalytic reactions initiated by free radicals convert susceptible molecule to free radicals to propagate the chain damage [9,10]. Free radical attack has been linked to numerous pathological conditions . Antioxidants such as Vitamin E and A, as well as ascorbic acid and glutathione in the cytosol blocks the initiation of free radical damage. Some enzymatic systems also contribute to the inactivation of free radical reactions. These break down hydrogen peroxide and superoxide anion. The enzymes are usually located near the sites of generation of the oxidants. Catalase present in peroxisomes decomposes hydrogen peroxide, H2O2 (2H2O2 → O2 +2H2O). Superoxide dismutases found in many cell types convert superoxides to inactivate molecules, H2O2 (2O2-+2H → H2O2+O2) . This group is reported to include both the manganese-superoxide dismutase which is found in the cytosol. Glutathione also confers protection against cellular injury by detoxifying oxygen free radicals . Where there is inadequate antioxidant activity, cells undergo sequential biochemical and morphologic changes as they are progressively injured and ultimately die by necrosis. In many disease conditions, the outcome of enhanced free radical production depends on the net balance between free radical formation and termination . The idea of supplementing antioxidants in the management of HIV is based on the scavenging roles of antioxidant and reducing the free radicals into non damaging effects. Research in the area of antioxidants and free radicals is probably one of the most dynamic areas of scientific research. As a result, antioxidant tests have moved from the research Laboratory into routine Clinical Chemistry, and now part of general health screening programmes. A range of antioxidant tests is currently available from Randox (UK), including enzymes and the only commercially available test for Total Antioxidant Status (TAS). Malnutrition is a major problem in parts of the world where HIV is most prevalent, particularly in Sub-Saharan Africa . This is more so in the face of certain micronutrient deficiencies in the population infected by HIV. 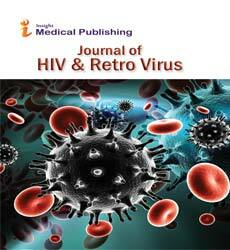 Regular administration of antioxidant to HIV patients could be immensely beneficial. This will be more so in the situation of poor socioeconomic condition and high cost of anti-retroviral drugs in some of the communities where HIV infection and its sequelae is now epidemic. Kalra J, Mantha SV, Prassad K (1994) Oxygen-free radicals: Key factors in clinical diseases. Lab Medica International 11: 16-21. Jose M, Mates J, Aledo JC, Cristina PG, Esteban del Valle A, et al. (2000) Internationship between oxidative damage and antioxidant enzyme activities: an easy and rapid experimental approach. Biochem Education 28: 93-95. Barre-Sinoussi F, Chermann JC, Rey F, Nugeyre MT, Chamaret S, et al. (1983) Isolation of a T-Lymphotropic retrovirus from a patient at risk for acquired immunodeficiency syndrome (AIDS). Science 220: 868-871. Levy JA (1998) HIV and the pathogenesis of AIDS. 2nd edition.ASM Press, Washinton D.C. pp: 75-76. Fox R, Eldren LJ, Fuchs EJ, Kaslow RA, Visscher BR, et al. (1987) Clinical manifestation of acute infection with human immunodeficiency virus in a cohort of gay men. AIDS 1: 35-38. Keet IPM, Krijnen P, Koot M, Lange JMA, Miedema F, et al. (1993) Predictors of rapid progression to AIDS in HIV-1 seroconverters. AIDS 7: 51-57. Lefrere JJ, Courouce AM, Lambin P, Fine JM, Doinel C, et al. (1989) Clinical and Biological features in the 12 months preceding onset of IADS in HIV-infected subjects. J AIDS 2: 100-101. Ezimah AC, Onyeyili PA, Nwobu GO, Nwankwo EA (2005) Glutathione peroxidase levels in Nigerians with AIDS. J Med Lab Sc 14: 11-13. Barry-Halliwell (1984) Oxygen is poisonous: the nature and medical importance of oxygen radicals. Med Lab Sc 41: 157-171. Synder JW (1990) Mechanisms of toxic cell injury. Clin Lab Med 10: 311-321. Kumar V, Abbas AK, Fausto N (2005) Pathologic basis of disease. 7th edition. Elsvier Saunders, Pennysylvania, pp: 16-18, 74. Ofosu-Barko K (1998) The current global status of the HIV/AIDS Epidemic: What are the driving forces. First National AIDS Conference, Abuja, Nigeria. December 15-18. Ezimah ACU, Yusuf H (2007) Marginal Copper Status of Patients with Acquired Immunodeficeincy Syndrome. Emirates Medical Journal 25: 209-210. Ezimah UA, Obeagu EI, Ezimah CO, Ezimah A, Nto NJ (2016) Diarrhoeal diseases of Acquired Immunodeficiency Syndrome Stimulate more Depletion of Total Antioxidant Status. International Journal of Advance Multidsciplinary Research 3: 23-32.